Why is your Virtual CIO telling management and staff about LinkedIn? 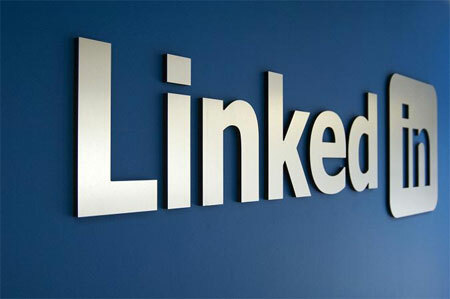 Because LinkedIn is not the business version of Facebook to post your resume, it’s a business search engine to be found. That means jobs, products, services, customers, and prospects. What kind of statement does your obscurity or apathy say versus your peers or competition – much less to customers and potential prospects? And if you’re thinking that all “I ever do is search for people or companies”, then type something like “payroll service” (or your line of business) and watch in amazement that people are displayed. Then be honest about how good you are about keeping up with your contacts. LinkedIn let’s you do that while your connections regularly update you too. Professional “Headline” is not your job title. From CEO at Matrixforce to Managed Services and Cloud Computing Expert – which says more about me? More importantly, it’s the first place to add keywords of how I want to be found. Besides, your title is listed immediately below in Current and Past positions. You need a picture so people can actually see who you are. Use one of how you want to be perceived for business and not the Facebook casual Saturday or funny pet picture. Website links should not say Company Website or My Blog. You missed the boat too, if you were creative and changed the generic terms to your company name and a call to action like Read My Blog. Again, these links should be the anchor text of how you want these sites to be found in any search engine. In my case, Managed Services rather than the company name Matrixforce. Get a Twitter account. It’s another way to engage and if you’re lazy like me, I link Twitter to other services so one post hits LinkedIn and any other connected services without having to go to those sites. Post something when you have something useful or relevant to say – not a micro-blog of your mundane daily activities. Give three times before you ask or sell. Summary should be in first person rather than third. It should be brief and a call to action like e-mail or call is acceptable. Try not to brag about how big or how many, but rather what is in it for the reader who hopefully was looking for your keywords. Specialties should again have a handful of keyword phrases. My previous summary was some copy from a corporate website that in retrospect seemed either arrogant or historical. Move sections around to be different and put strengths or most useful content upfront. I moved my blog below the summary and will likely add an upcoming video above the summary. Uh oh. Now it’s time for Experience. Where is that old resume? Don’t even go there. Tell what the company does in a brief sentence. Then in first person, tell your role like a value proposition. Put a few bullets for accomplishments and (you guessed it) work in some of your keywords. Company name and title should link to those companies or people with similar titles. Don’t go crazy and add spam keywords to your company name or title. It looks absurd and is a general turn off for the reader. If you haven’t gotten the hint, the other part of social media is giving some information away. So why not add some applications to show a presentation or video, listings, portfolio of offerings, publications, or events. Give something valuable to the reader, but don’t give away the farm or arm competitors with anything that is not public information. For example, I automated cost comparisons and used them as landing pages for projects. You know those groups at the bottom? Well they should have your keywords and it’s great to understand your industry, but what if you participated in some customer groups? It may take you a couple of hours to really fill out your profile completely. Note, that you should be able to raise your ranking significantly and possibly to the first page. However, unless you truly are the leader for an industry segment, you won’t be able to game the system. The best way to rank highest is to provide a large amount of high quality content for people who want to connect with you. That leads to the next topic of connecting. Some of you will stop at a complete profile taking solace in the fact that you now make a positive impression and others will start connecting, posting, and discussing. The next time you get another LinkedIn invitation and simply click accept, you better make sure your profile doesn’t make you look foolish. Start getting acquainted with this business tool. I don’t really get what LinkedIn is supposed to do to add to your website’s rankings but your advise is worth following. Thank you for the comment. It’s not really your website ranking, although you’ll notice the projects have links to different portions of our website. Ranking optimization for this article is strictly for search in LinkedIn. Very excellent publish. Thanks for sharing!